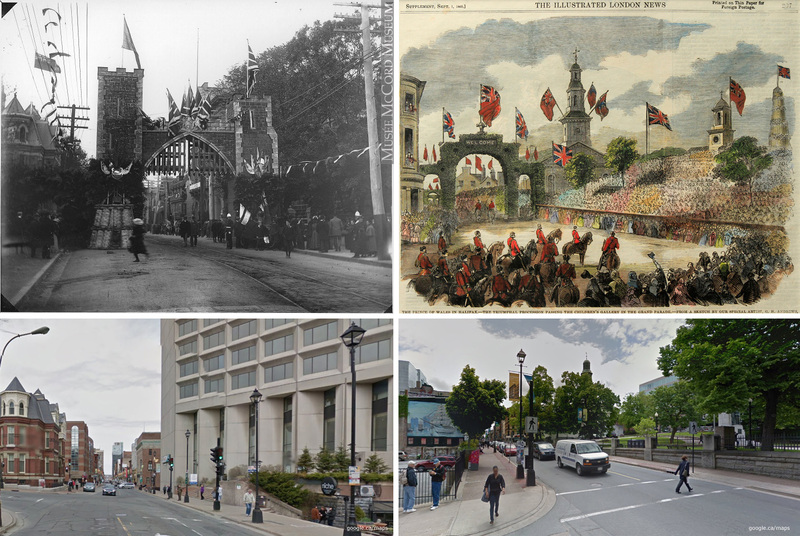 Ever wanted to know a bit more about Halifax’s Historic Main Street? Have a look at these two arches on Barrington Street, the first (circa 1900) was located near Spring Garden, the second (1860) near George Street. This fall a group of volunteers (including a structural engineer and staging specialist) explored having one built for the Parade of Lights. It quickly became a major challenge with the risk of freezing rain and high winds. Considering the added weight of snow and ice on the structure it was too much of a safety risk to move forward. If we are to bring the arches back, they will likely have to happen in the Summer months. Thank you to Vintage Halifax for sharing the photo. The February issue kicks off the year with the Monarch of Barrington Challenge. Email or tweet your ideas for a chance to win a prize! Also included is an update on the Benches Project. Have a Look! The December issue covers some key moments of the Halifax Explosion. Also announced is a ‘New Years Resolution’ contest for the month of December. Have a Look! November Issue – Over 1200 Make it Awesome! The November issue provides an update on the benches project and Helen Hanratty explores the history of Grand Parade in her latest ‘Browsing on Barrington’. Have a Look! The October issue highlights the latest developments proposed and under construction on Barrington, a look at the new Board Room Game Café and the latest on the Barrington Benches Project. Have a Look! The September issue highlights some fun events this fall, a visit to Argyle Fine Art and announcing an opportunity for you to get creative and design a new parkette Downtown. Have a look! Welcome to Barrington Post Online. Have a look at our very first issue – August.